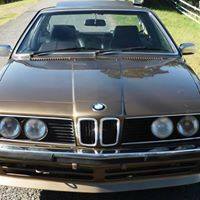 Buying, selling and finding only unique classic collectible and muscle cars at the best prices. Click here for more info on how we can organize everything to get your dream car to your door hassle free. ​WE ORGANIZE EVERYTHING TO GET YOUR DREAM CAR TO YOUR DOOR. 1. Prepurchase - Once we (or you) have found the ideal car we investigate & research the validity of your prospective car purchase and organize inspections. 2. Purchase and transportation- We can arrange secure payment after negotiating the best price. Transport and dealing with importation/ shipping companies is all taken care of for you. 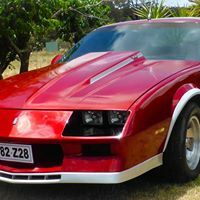 ​Just let us know what what type of car you are looking for, the price, condition and any other requirements. If you would like more information please see the importing page and the " what can you buy from USA for your budget?" page and also feel free to contact us to discuss and we can forward detailed info about the process and costs to your email. Classic collectable car transport of all types vehicles all over Victoria, NSW, Qld, SA. Wedding car hire- the ultimate is a classic Mercedes limousine. Any occasion is made special with the luxury this vehicle brings. ​Limousine hire at the cheapest prices with the best service. Limousine hire for weddings and any occasion in Victoria you want to make memorable and special. ​ Make any occasion special! Make the journey one of luxury! GET YOUR CAR ADVERTISED FOR YOU. OUR CARS ARE SOLD WITHIN 7-14 DAYS almost every time! Ford V8 Coupe- a classic Australian muscle car icon. WE CAN SELL YOUR CAR- dont let all that cash rust away! Toranas, falcons, all classic cars for sale from my collection. I can never resist a special unique car and hence always end up with too many. I cannot keep them all. So on a regular basis I have to part with one of these awesome cars. We can sell, buy or find your muscle, classic or any collectible dream car.